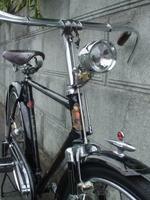 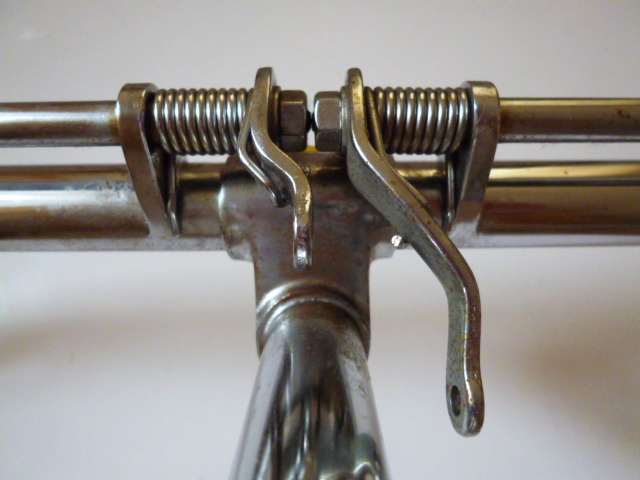 Let's take a look at a unique type of rod brake handlebar, one whose simple design enables both the front and back brake to be applied with a squeeze of only the front brake lever. 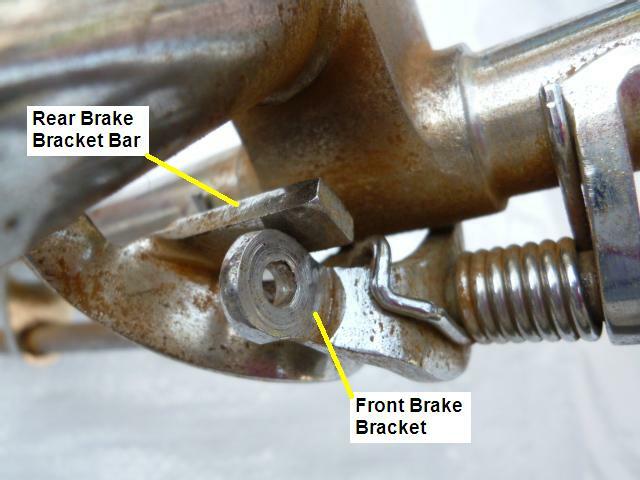 Below is a typical rod brake design. 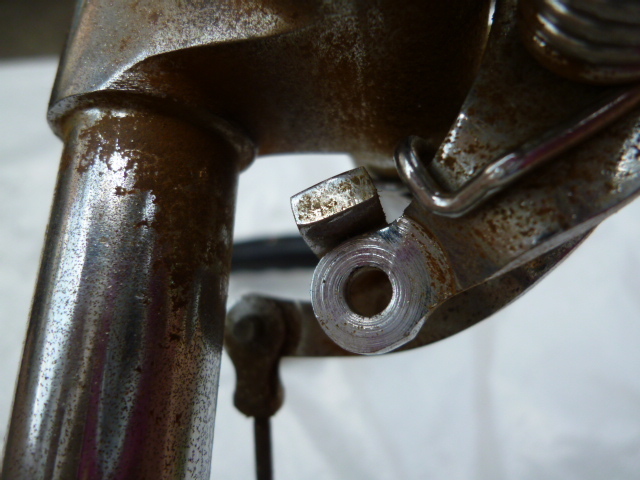 Note the two different size brackets, the shorter is for the front brake and longer is for the rear brake. 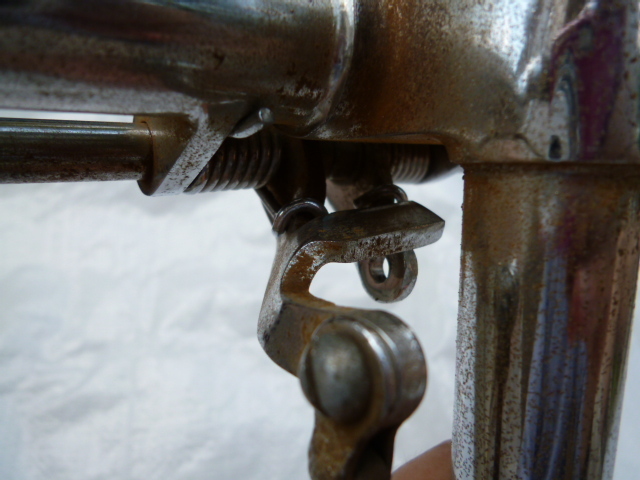 However, there is an interesting exception, a simple design that allows both front and rear brakes to be applied when only the front brake lever is squeezed. 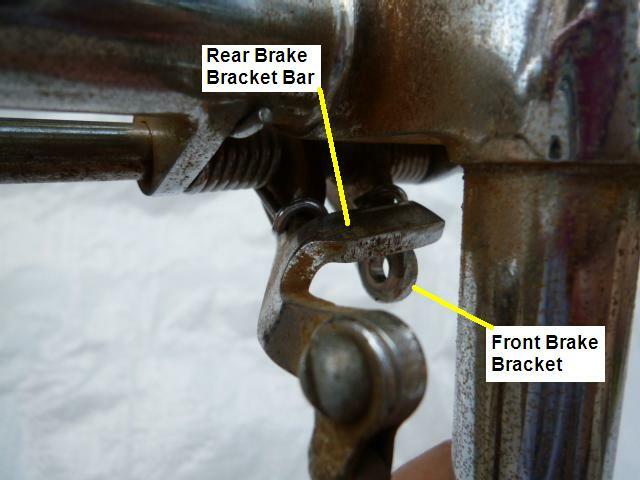 Let's take a look at the very simple mechanism that allows both brakes to be applies with a squeeze of the front brake. 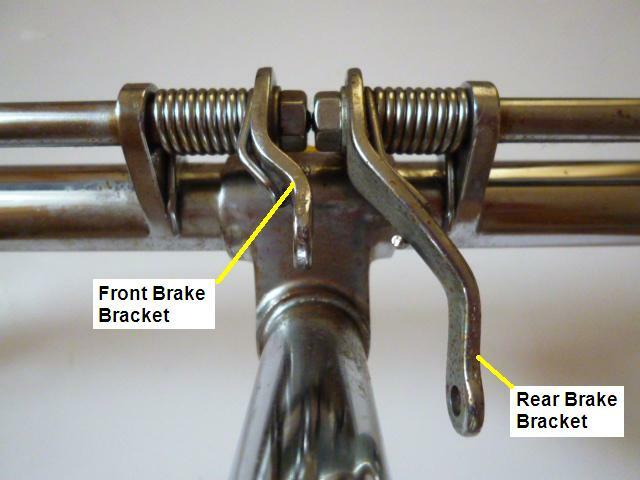 Compare the above photo with the one below and you will notice that, in the photo below, the back brake bracket has a bar that passes beneath the front brake bracket. A few photos taken from different angles of this unique rear brake bracket bar. 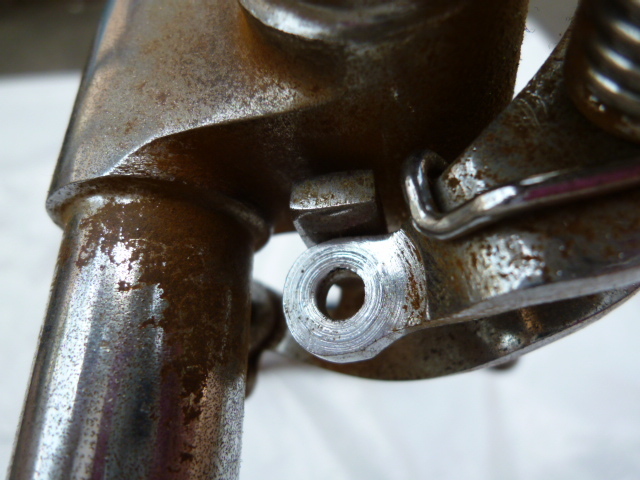 Again note the position of the rear brake bracket bar in relation to the front brake bracket. 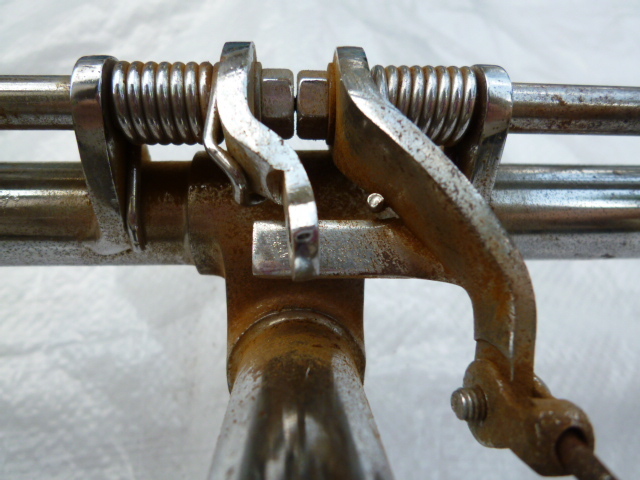 The mechanism is quite simple. 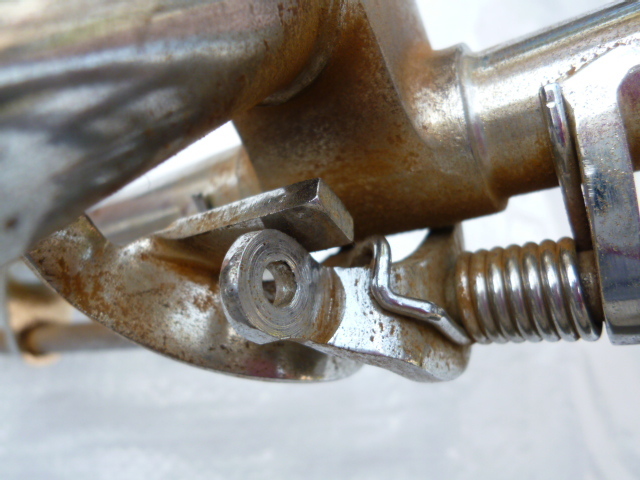 Squeezing the front brake lever pulls the front brake bracket upward where it catches on the rear brake bracket bar; thereby causing the rear brake bracket to be pulled up simultaneously along with the front brake bracket. 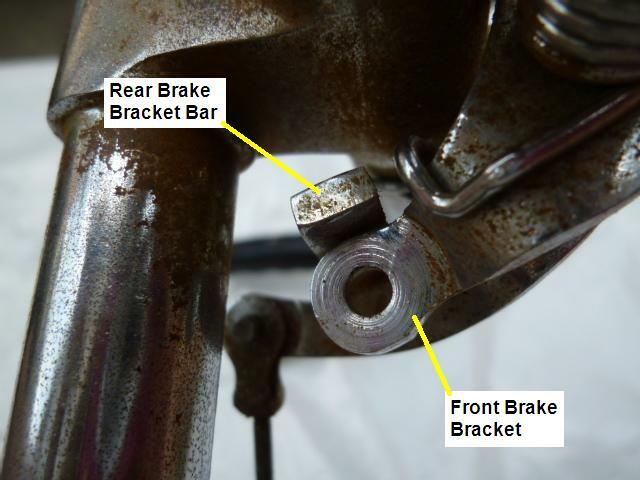 So, whenever the front brake is applied the back brake will also be applied.